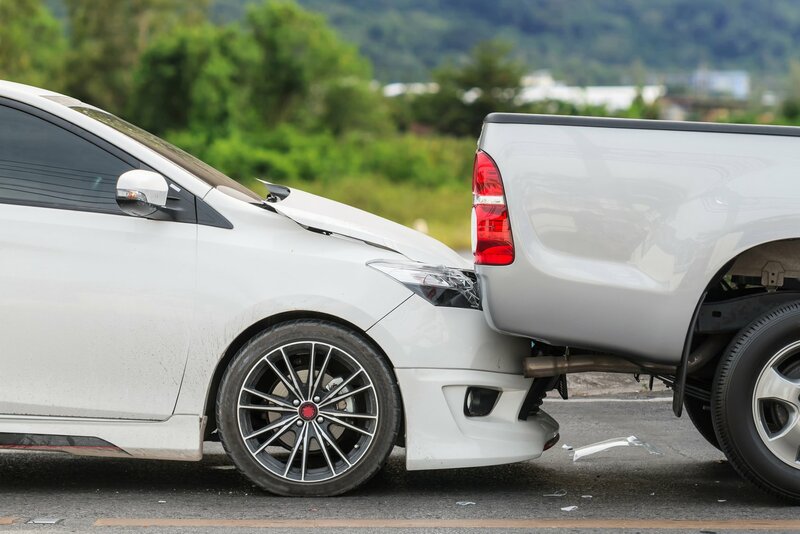 Rear-end collisions are some of the most common, and a fault is usually (but not always) straightforward, but what about getting compensation for your losses? The Insurance Information Institute calculates that in a recent year, of the nearly 4.2 million car accidents involving at least two vehicles, almost 2 million were rear-ended collisions. This should come as no surprise, especially given the prevalence of smartphones, GPS units, and other devices that are within arm's reach of most drivers. There can be little doubt that distracted driving is behind many of these accidents, but whatever the cause, drivers hit in a rear-end collision can feel extra frustration since most of these accidents are preventable. The silver lining, if there is such a thing when it comes to a car accident, is that fault is usually fairly straightforward. Read on to learn more about the key issues of liability and compensation in rear-end car accidents. not repairing a broken brake light or other faulty equipment. Absent one of these scenarios (or a similar one), the determination of liability is straightforward, and one of the two major legal issues in a car accident case is quickly resolved. The second remaining issue is calculating damages. This is where things can get tricky, especially when it comes to personal injury compensation after a car accident. Getting compensation for vehicle damage after a rear-end car accident is usually uneventful. Since everyone will largely agree on liability, and damage to the vehicle is a fairly objective determination, most insurance companies will quickly pay a rear-end accident victim's vehicle damage claim. Learn more about car accident repair options and insurance availability. On the other hand, getting compensation for injuries can be the most frustrating and complicated part of a car insurance injury claim or personal injury lawsuit after a rear-end collision. This is due to the fact that one of the most common injuries from a rear end collision is so-called "whiplash." Whiplash is an extremely common neck injury that results from rear-end collisions. When a driver is rear-ended, it can cause the head to whip back in a sudden motion, causing injuries to the neck, shoulders, and upper back. Often, these are soft issue injuries, usually in the form of strains and sprains to the muscles and tendons in the neck. Soft tissue injuries are notoriously difficult to prove and quantify. Unlike a torn muscle, broken bone, or nerve damage, it’s not always easy to identify a strain or sprain injury. And even when strains and sprains are evident in medical tests, such as an MRI (magnetic resonance imaging), it's hard to prove the extent of the injury. Much of the time, the primary measure of the whiplash injury will be subjective complaints of pain and discomfort, such as headaches, neck pain, blurred vision, shoulder and back pain, and trouble concentrating. What does this all mean? Unfortunately, it means that drivers who have been rear-ended have the opportunity to exaggerate their injuries. It also means car insurance companies are going to be skeptical of claimed whiplash injuries. This skepticism has gotten so bad that many personal injury attorneys don’t use the term "whiplash," due to its negative connotations. Instead, when referring to whiplash-type injuries, attorneys will call them cervical strains and sprains or myofascial injuries instead. Learn more about making an injury claim for whiplash after a car accident and preserving your right to compensation after a car accident.